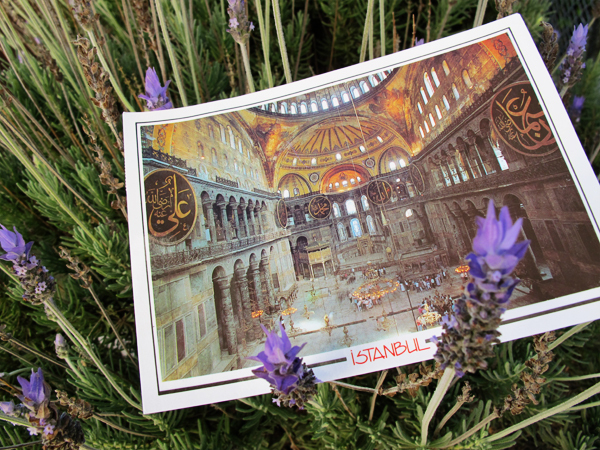 Speaking of holidays and travels, one of my dearest sisters in Islam, Hana Fedora, sent me a postcard when she visited Turkey a few weeks ago. I can't remember the last time someone sent me a postcard so I was totally happy to see this little surprise in my mailbox. It was like having a little piece of Istanbul sent to me. Since I'm on my Easter break at the moment I finally have a little bit of free time to share it with you all and I stress a little bit because I still have research to do during this 1 week break. 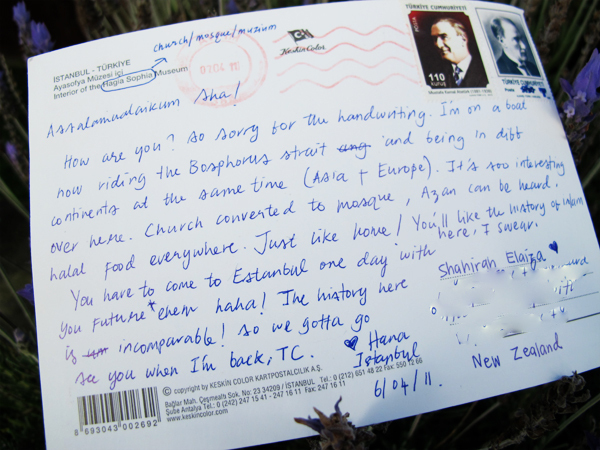 Now run along and read Hana's post on Istanbul. It's filled with gorgeous pics that make you float away in dreams of far away adventures. Omg! You made the poscard seems sooo pretty in the first pic sha! Love the flower effect. And you have no idea how much more i miss you ;( come here please! So i can give u a big bear hug. Awww, I know how excited you must have felt getting a postcard! i would have felt the exact same way! iA, I would love to visit Turkey, Istanbul and actually get to explore the city itself! Sounds amazing!!! I received your email sister and I just want to say that it was the most sweetest thing! Thank you so much for those Dua's that you emailed me a link to. I've been reading them and Alhamdulilah I'm feeling so much better towards my exams. I'm just working super hard! As for your degree, I think thats amazing. iA, May Allah (SWT) help you accomplish all your dreams in which you are very successful. As you deserve to be! Enjoy your break, hope you get all your work completed! the art of writing letters/postcards is so lost, you are extremely lucky sha! the picture is lovely, i'd love go to turkery one day iA.